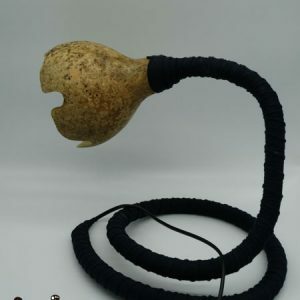 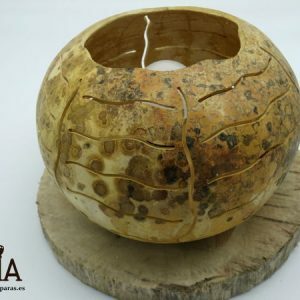 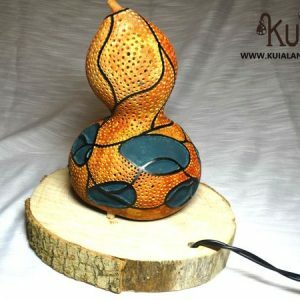 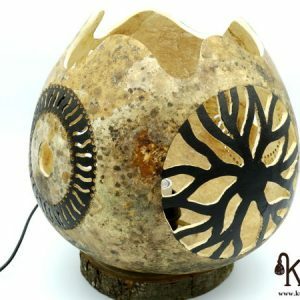 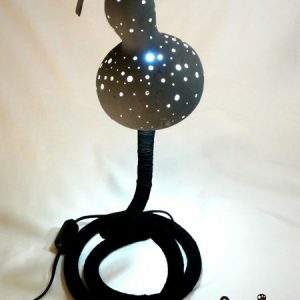 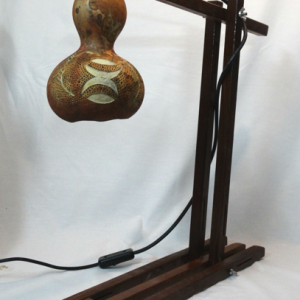 Decorative lamp made with gourd. 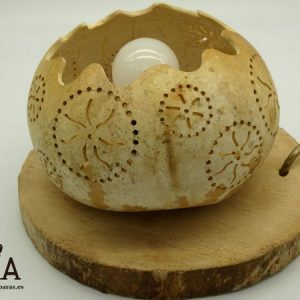 It is carved by hand with some careful designs to create an ambient light. 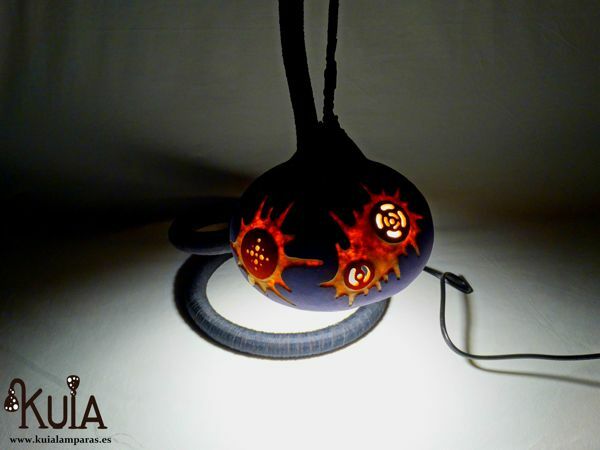 This ambient lamp has a few carvings that when ignited acquire a unique reddish color. 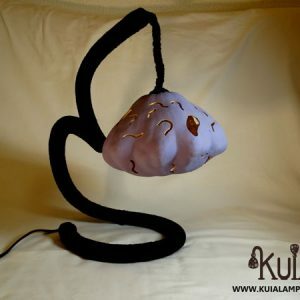 It emits a dim light perfect to set any room while watching TV or you are with the computer.The base, totally flexible, can acquire the shape that you want, adjusting it to the place where you locate it.